Classically trained at the Royal Academy of Music in London with an extensive repertoire including orchestral, jazz and popular music genres, Richard Jacques is a multiple award-winning, BAFTA and Ivor Novello nominated composer for film, television and video games. 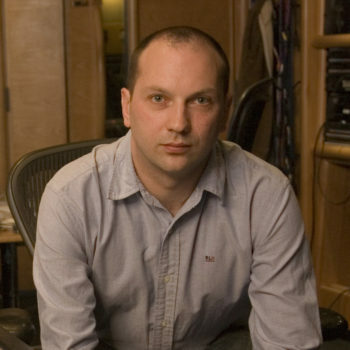 Best known for his critically acclaimed orchestral scores for blockbuster franchises such as “James Bond”, “Mass Effect”, “Starship Troopers” and “Alice in Wonderland”, he has also composed music for numerous premier TV and movie theatre campaigns. Described by “Music From The Movies” as “one of the most refreshing orchestral scores in many years,” Jacques’ breakout Hollywood orchestral score “Headhunter” set a new benchmark for interactive media as the first video game soundtrack to record with A-list musicians at the world famous Abbey Road Studio One. His award-winning, British Academy and Ivor Novello nominated original score for “James Bond 007: Blood Stone” was internationally acclaimed by critics as a “Modern classic Bond score”, featuring brand new themes for all of the major characters and settings as well as various ethnic instrumentation for the exotic locations that Bond visits, including Athens, Istanbul and Bangkok. The score was recorded with A-list musicians at Abbey Road Studio 2 and received top honours for “Best Original Composition” at The Music and Sound Awards as well as recognition from BAFTA and BASCA. Jacques has worked with other artists, among them Shirley Bassey, and has also arranged and orchestrated music for Grammy winning singer/songwriter Joss Stone’s symphony concert at the Royal Festival Hall in London. Richard Jacques is a Fellow of Wells Cathedral School, and was awarded an Honorary Doctorate from the University of Essex in 2013 for services to Music and Media. Earlier this year he also received the Game Audio Network Guild Lifetime Achievement Award at the 2018 Game Developers Conference.